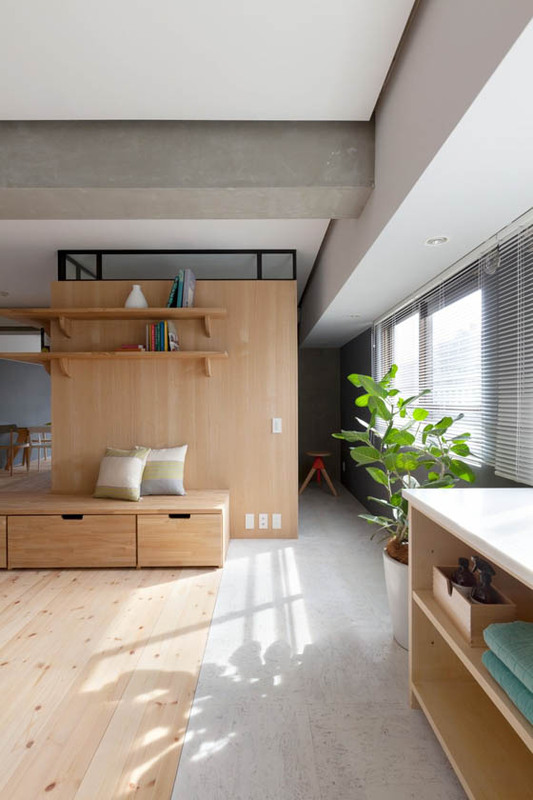 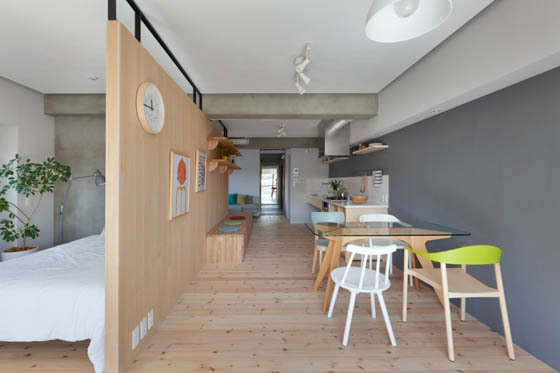 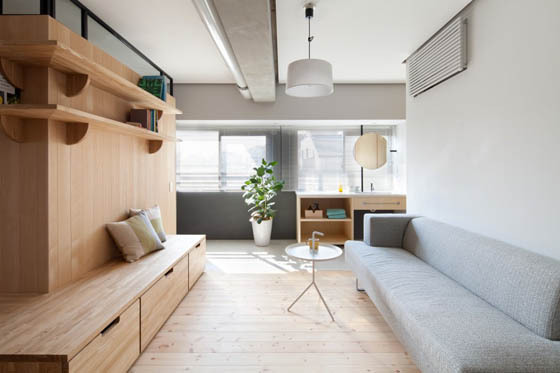 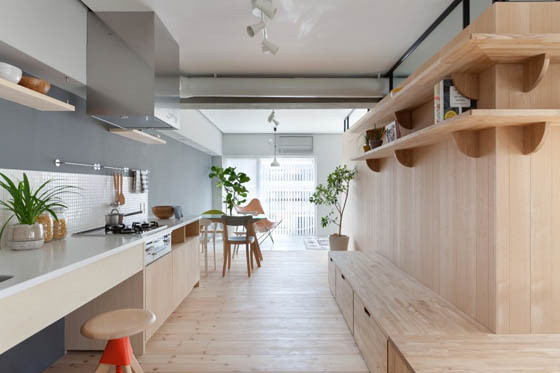 Located in the Kanagawa Prefecture in Japan, this modern apartment was designed in 2014 by Sinato Architects. 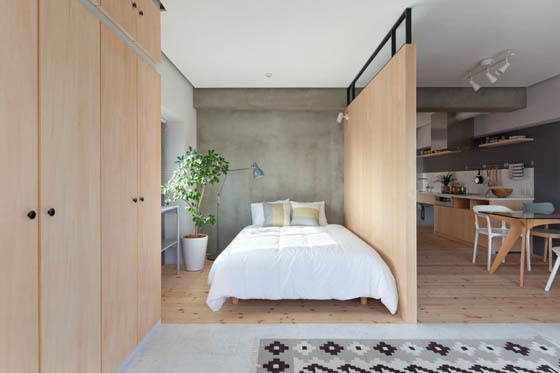 The obvious feature of the place is its L-shaped wood wall that serves as the partition between the open space and the sleeping area. 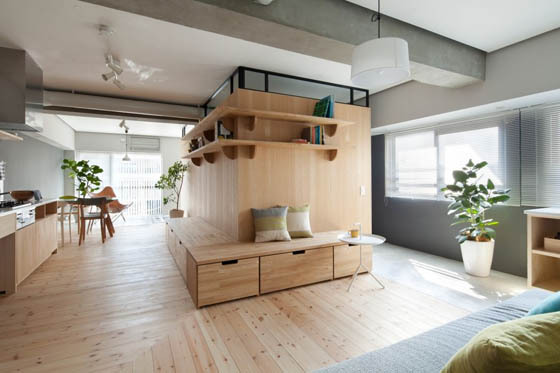 It is a large multi-functional piece of furniture where you can hang a picture, store books, sit or even roll around on, allowing it to become a symbol uniting the house. 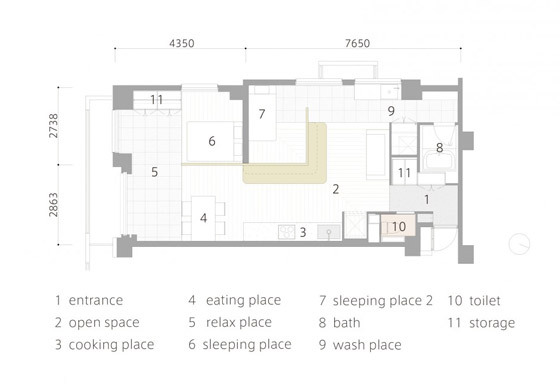 By looking at the floor plan you will find this smart L-shape design effectively connects and overlays the variuos places, allows the occupants to live with greater freedom. 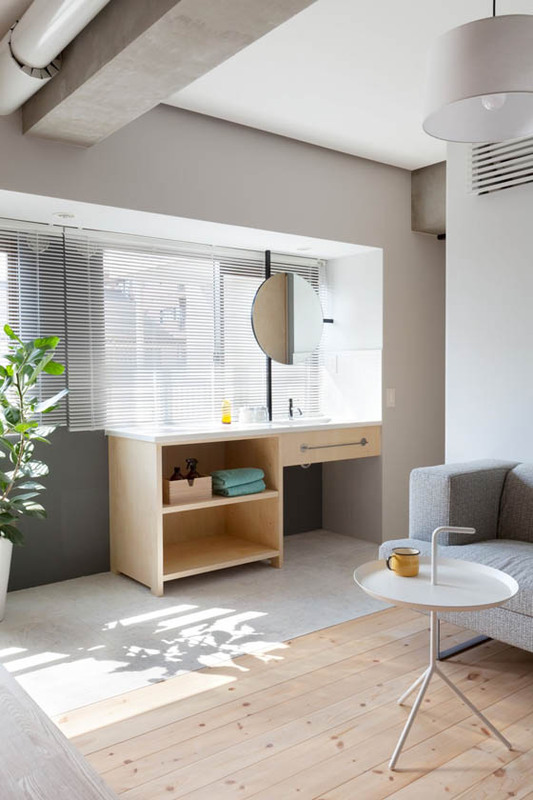 Previous story Skull-Shaped Artisan Soaps, Do You Want to Bath With It?